I’ll never forget the first time I experienced the dreaded death wobble in my CJ-7. I was approaching 45 mph on a flat dirt road when all of a sudden I began experiencing a deafening front-end vibration that simultaneously made it hard to hold onto the steering wheel. It felt like I was going to lose control of my rig. Fortunately, after some trial and error and troubleshooting on the part of my local mechanic, I was able to fix the problem for good (fingers crossed). In the spirit of helping fellow Jeep owners avoid this situation, following are my tips — based on personal experience, stories from fellow riders, and research — to fix the death wobble in your Jeep. When you experienced it for the first time, you probably recognized immediately that it was the dreaded Jeep death wobble (like I did). The experience gives you the sensation that you’re going to careen out of control — even though your vehicle is still going in a straight line. What Causes The Jeep Death Wobble? While the symptoms of death wobble are easy to recognize, the causes are not. After I experienced death wobble, I immediately began tinkering under the hood for any obvious signs of loose wiring or misaligned parts. Pretty quickly, however, I realized I wasn’t going to be able to solve the problem on my own. Because my CJ-7 is a vintage model, and because I’m not particularly mechanically inclined, I took it to a local auto shop I trust. 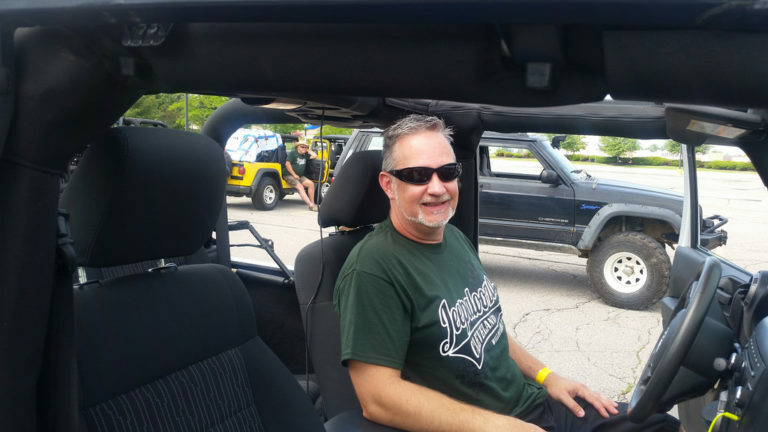 They started by testing my Jeep’s steering and front-end suspension system for any signs of play. Despite these fixes, however, my CJ7 was still experiencing mild shaking at higher speeds on the road. A return trip to my mechanic determined new internals for my steering box were also in order. The result? So far, so good! Because one size doesn’t fit all when it comes to fixing the Jeep death wobble, I’ve come up with a checklist of components to hone in on to address the issue head on. If you’ve successfully eliminated the problem (that is, if you haven’t experienced the death wobble for some time), don’t rest on your laurels. It’s important to perform regular checks of the components or configurations you’ve fixed to make sure they are intact. To date, by doing the same, I haven’t experienced any more death wobble — although the memories are always in the back of my mind and seem to be re-triggered every time the speedometer goes over 40 mph. Just because this phenomenon comes with the territory of owning a Jeep, doesn’t mean it can’t be conquered. Here’s wishing you many death-wobble-free miles ahead in your Jeep, as well.